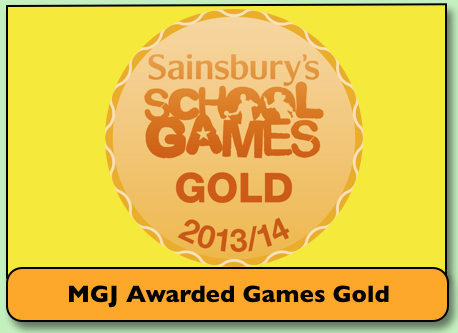 We are proud to announce that we have been awarded the ‘Gold School Games Kite Mark’ award. This award is sponsored by Sainsbury’s and is a nationally recognised award that has been given to Meath Green Junior School for the ongoing commitment that students and staff show towards competitive sport within our school, the local community and surrounding counties. The award is an honour to receive and reflects the endless hard work and determination that both students and staff show towards extra-curricular clubs, primary school sports festivals, supporting Horley School competitions and attending competitive sports within Horley and Surrey.